AppTester is made of of a number of linked components as shown in the illustration below. AppTester attempts to adhere common terminologies and standards in the Testing domain. An overview of terminologies is detailed on this page. Test Projects are linked to Environments and one Process application. They act as containers for all Test Items (Test Cases, Test Scripts, Scenario’s etc). They are linked. Test Cases in AppTester are linked 1:1 to services (whether Service Flows, Human Services or otherwise). They are containers for Test Scripts and can be seen as Unit Tests. Test Scripts are the the variations that you want to test on a Test Case (BPM service). If we have a simple service that takes two numbers and performs a calculation against an operator (e.g. plus, minus, multiplied by) and validates them against an assertion, we could have a test script setup that looks similar to that below. In the example above, Test Scripts 01 – 03 would pass and 04 would fail as it uses invalid characters for the test. You can create as many Test Scripts as you wish in order to provide adequate test coverage. AppTester allows for Test Scripts to be cloned to quickly replicate an existing Script and make quick changes. AppTester also supports Data Sets allowing users to upload Excel or .csv files containing Test Data that can be linked to a Test Script. AppTester will then run the Test Script for each line of data in the Data Set. 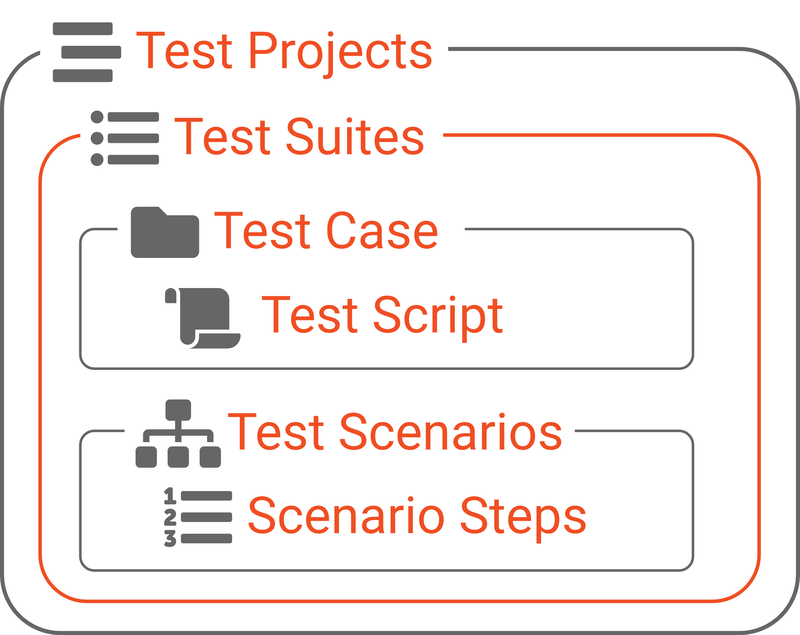 Test Suites provide a way of grouping Test Scripts and Scenarios together and running them, in batches of your choice, all at once. You can configure Test Suites in accordance with the needs of your organisation or project. For example, you may have one Suite for just your Service Flows and another for Coaches or you may have a Suite that contains all of your successful test items that you schedule to run daily to ensure application integrity. AppTester affords you the flexibility to group Test items in a way that is most suitable for you.